Just west of Bozeman, Montana—where the Gallatin, Jefferson, and Madison rivers converge at Three Forks—America’s longest river is born. 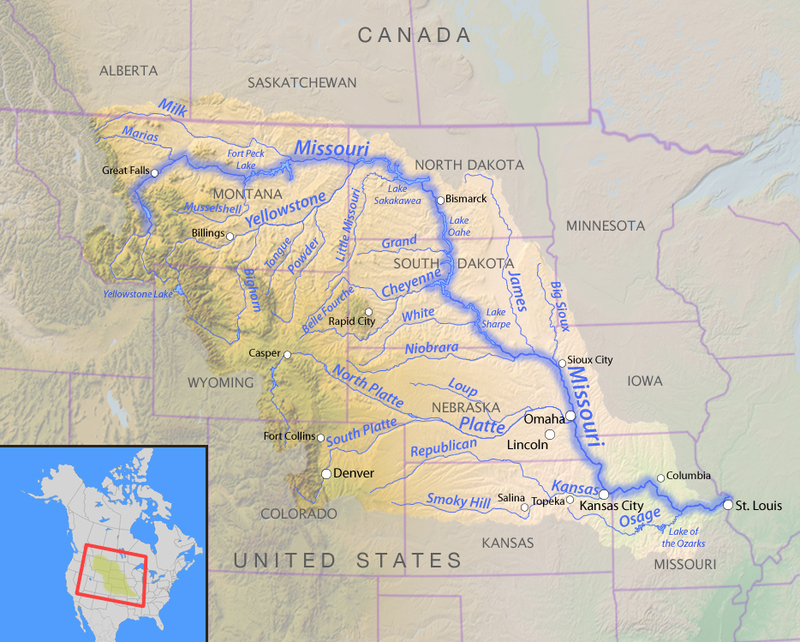 The Missouri River will travel more than 2,300 miles before it joins the Mississippi in its namesake state at St. Louis, forming the world’s fourth longest river system as it rolls south to the Gulf of Mexico. 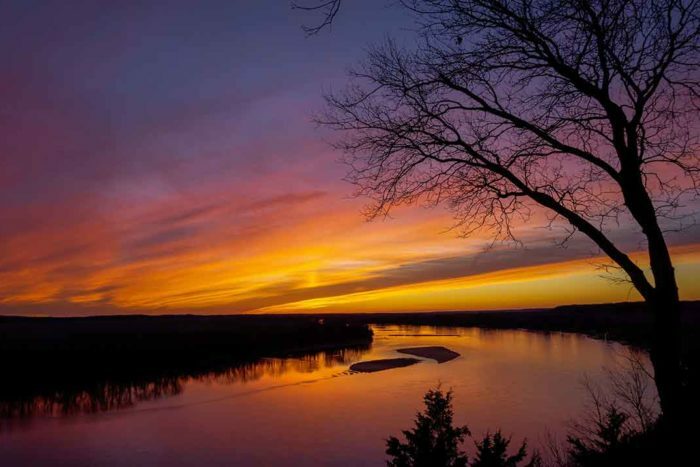 Considered the “Center of Life” for the Great Plains, the Missouri has served as the main artery for exploration, food, trade, and transportation for millions of people over thousands of years. About one-fourth of all the agricultural land in the U.S. is found in the Missouri River watershed, which provides more than one-third of the country’s wheat, flax, barley, and oats. Its significance to American culture past and future cannot be overstated. The Missouri River long ago garnered the nickname the “Big Muddy,” inspired by the enormous loads of sediment it pushed through the river system. However, the amount of sediment transported has diminished as dams, levees, and channelization increased over time. Today, the river might be more accurately described as a gentle giant. Only in its upper reaches does the Missouri shed that image. 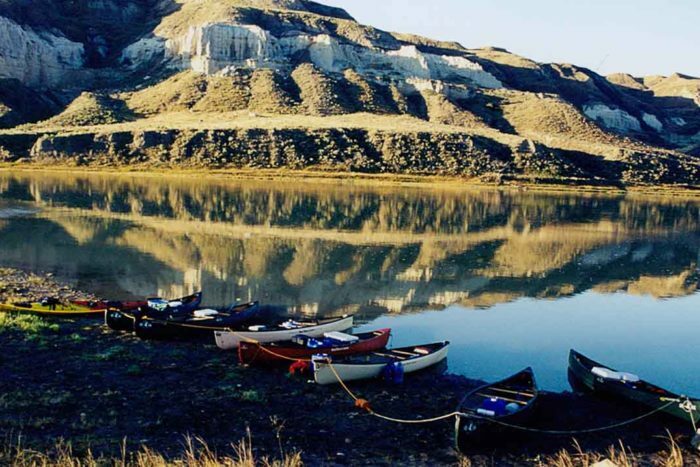 There, even a slow-motion summer float through the Upper Missouri River Breaks National Monument can offer a back-to-the-wilderness sensation, where the 149-mile Wild and Scenic section of the river winds downstream from Fort Benton, Montana, to the Charlie Russell National Wildlife Refuge. Lewis and Clark spent three weeks in 1805 exploring the Wild and Scenic area now considered the premier component of the Lewis & Clark National Historic Trail. River runners can still camp at the same sites used by the explorers. Fishermen may encounter some rare native species in the area, including prehistoric-looking paddlefish or the endangered pallid sturgeon among some 150 species of fish within the entire Missouri River Basin. The basin also supports 300 species of birds and a variety of mammals including trophy elk, whitetails, and mule deer that support a significant seasonal hunting economy. Even the occasional wayward grizzly has been reported near Fort Benton. Several other threatened and endangered species are making a stand along the Missouri, although restoring fish and wildlife populations to historic levels will require flow modifications, protecting and restoring habitat, and adaptively managing the river system. Major floods have always been a fact of life along the Missouri. And they’ve taught us many lessons on river management along the way. For more than 75 years, Congress has directed the U.S. Army Corps of Engineers to administer flood control, navigation, and irrigation on the Missouri by impounding, channelizing, and dredging the river. 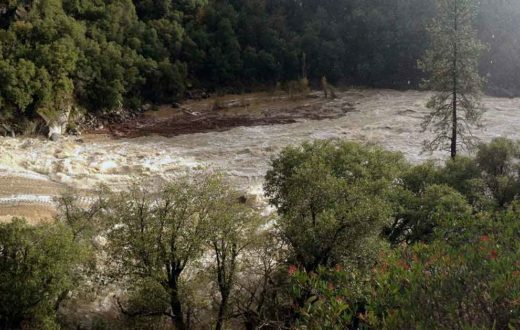 The resulting series of massive reservoirs on the upper river and the deep, narrow channel on the lower river has actually made flood damages worse, putting surrounding communities, wildlife, recreation, and river health in jeopardy. As flooding on the Missouri increases in frequency and severity with climate change, communities need better flood protection solutions. 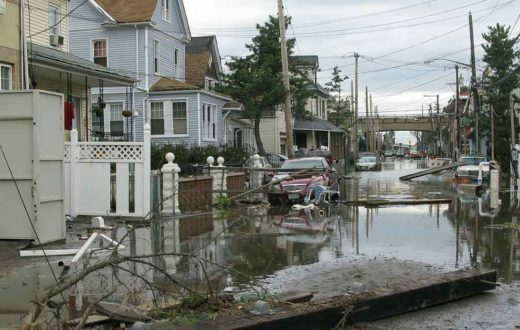 Levees and dams can no longer be the only line of defense. We need a smarter, more natural approach. 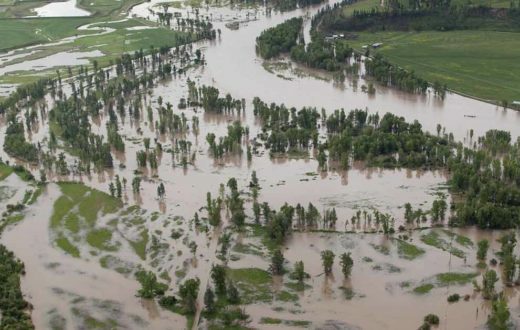 Restoration of the Missouri’s floodplains and wetlands, which absorb and store floodwater, must play a critical role in the next century of flood management. Sound science and public involvement are the keys to achieving smarter river management that safeguards communities and the environment. That begins with the recognition that levees, dredging, and impoundments actually increase the frequency and severity of floods. The preferred alternative is to try to reconnect the naturally broad, shallow river to its floodplain wherever possible. 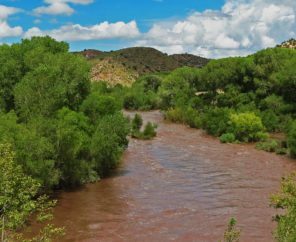 That means removing some levees, changing the timing of dam releases to mimic the historic river flow, and reinvigorating the riparian cottonwood forests that absorb water and provide the richest wildlife habitat on the Great Plains. 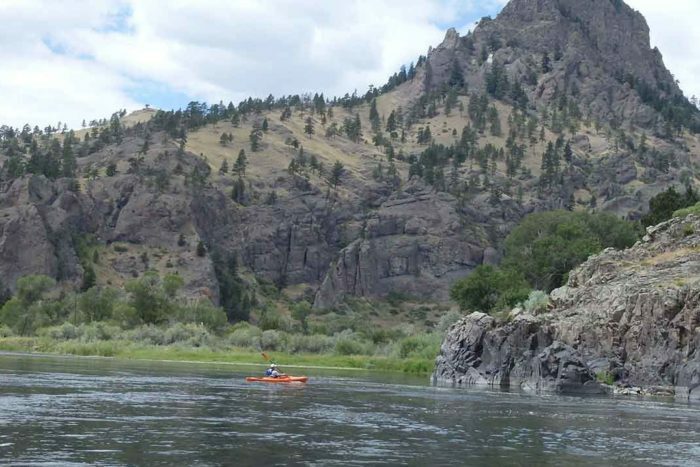 This adaptive approach will not only cost less to maintain but will also benefit fish, wildlife, and the recreation economy—resulting in a triple bottom line win. Lewis and Clark made their way upstream against the Missouri’s unbridled spring current in 1805. In May 1673, the French explorers Louis Jolliet and Jacques Marquette were the first Europeans to document their discovery of the river. In the height of the fur trade, steamboats traveled as far as Fort Benton, MT, a trade stop that became one of the biggest settlements between Minneapolis and Seattle during its heyday. A section of the Black Eagle Dam in Great Falls was dynamited to save nearby factories from inundation when the upstream Hauser Dam failed in 1908, causing catastrophic flooding for miles. The upper Missouri River system is the largest remaining stronghold for endangered pallid sturgeon, which weigh about 85 pounds and can live up to a century. Its lineage traces back 70 million years. 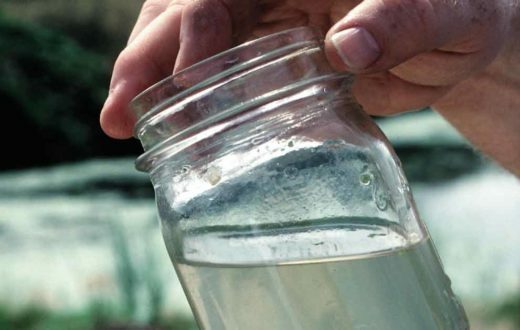 Where does our water come from? And how did it get there?